After purchasing or registering your copy of The Sims 3 through Origin, it takes a little bit more to make sure you get all your content and rewards. First, purchase your copy of The Sims 3. Purchasing The Sims 3, expansion packs, and stuff packs in the Origin Store will auto-register the game to your Origin Account, and will be visible in your My Games library. If you've purchased The Sims 3 through a third-party website and have a game code, redeem your The Sims 3 code in the Origin client by launching the client, opening the Origin menu, and selecting Redeem Product Code. Now, like if you'd purchased The Sims 3 in the Origin Store, your content will be visible in your My Games library. You can always find your base game key on the Game Detail Page in your Origin client which can be accessed by right-clicking on the game's icon and choosing "view game details." You no longer need game codes for your expansion / stuff packs with the latest update. In order to get your registration rewards, you'll need to log-in to TheSims3.com with the same email address you use for your Origin Account. Note, you do not need to re-register your game at TheSims3.com. New users to TheSims3.com, however, will have to complete an account registration process. After logging in, simply head to this page to download your registration reward. To redeem bonus content, after you've received an email with your 16-digit code, you can follow the email's further instructions, or just head to store.thesims3.com/myAccount.html, making sure to log-in with the same email and details as your Origin Account. Note, codes for bonus content and The Sims 3 Store content are redeemed through TheSims3.com, not through Origin. The Sims 3, expansions, and Stuff Packs can all be redeemed through Origin or TheSims3.com, but once redeemed do not need to be re-registered in the other. After you've checked that your game is in your My Games library, head to TheSims3.com to redeem your bonus content codes or download your registration rewards. If you already own The Sims 3 or any of the Expansion/Stuff Packs, and wish to register them on your Origin account, please follow the steps below. Please note, these are 20 digit codes – if your code has 16 digits, it’s for bonus downloadable content. You can find instructions on how to register 16 digit codes in the next section of this article. 1. Go to http://www.thesims3.com and make an account if you do not already have one. If you have an account, skip to step 3. 2. When making an account, enter your serial code for The Sims 3. 3. Once you are a registered member of the The Sims 3 website, login to your account so that you can then register any other expansion packs or stuff packs that you own to your account. 4. Click on the My Page tab. 5. Then click the My Account tab. 6. Click on Register a Game. 7. Enter the product code for the expansion pack or stuff pack. 8. Click the green Register button. Some expansion packs come with bonus content for players who register their game online. 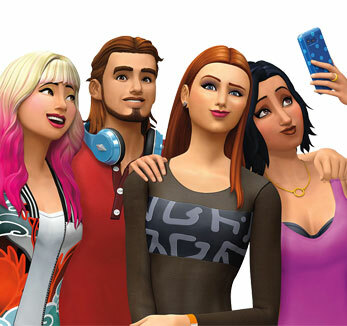 The most common bonus content is where The Sims 3 (base game) and World Adventures will each grant 1,000 Simpoints to a registered player’s account. These are 16 digits codes for bonus content. If your code is a 20 digit code for the base game or an expansion, please see the earlier section of this article. If you do have a 16 digit bonus code to redeem but have not yet registered your game or expansion, you should do so prior to redeeming your bonus code. Go to http://www.thesims3.com and login to your account. Click on the The Store tab in the menu bar at the top of the page. Then click the My Store Account tab. Click on the Green "+" icon sign across from Redeem a Code to expand that section, if it's not expanded already. Enter your 16 digit code for your bonus content. Click the green Redeem button. 262 people had this problem.